With the ICO out of the way we can focus on concluding the first cut development of the mobile app and commencing commercial rollout of it. This work is underway already and you should visit vooglue.com for further updates. Where Can I Buy VooGlue Tokens Now? Tokens are not available for purchase at this time. Sorry. Click ‘register’ on the home page, and we will email you when VooGlue tokens once again become available to purchase. Don’t rush to sell your tokens. It is vital there is demand side action prior to us listing on the exchange, so we will NOT list on exchanges until we have the app set up to create the demand side activity. If this pushes out the exchange listing date to 2019, then that is what we will do. And when we list we don’t want people to be in a rush to sell tokens. HOLD. Listing on exchanges is currently anticipated as per the timeline, HOWEVER, token holders should HOLD for 2 to 5 years before exchanging their tokens to allow the business to rollout. In this business HOLD is the way to maximize your return. By now you will know that VooGlue is a well-run business with a good team and a great project. We have a 5 years rollout plan. So for a better return on your token no need to sell at all. Hold for 2-5 years and get maximum return. The ICO was not sold out, but the ICO smart contract requirements for the soft cap were met so the project is proceeding. We quarantined the unsold tokens for sale at a later date. Why did the ICO not reach the hard cap when the project is so good? The reason is simple. We made some mistakes in the ICO execution. Fortunately the project can proceed and it has the continued support of the founders and key team members. The hard-won experience of this ICO enables the team to be forearmed next time around. Bounties were distributed on 21st June 2018. Requests should have been made before 21st July 2018 (within one month of bounty distribution). Requests will not receive an immediate response. When your case comes up we will be in contact. Where Are My VooGlue Tokens? 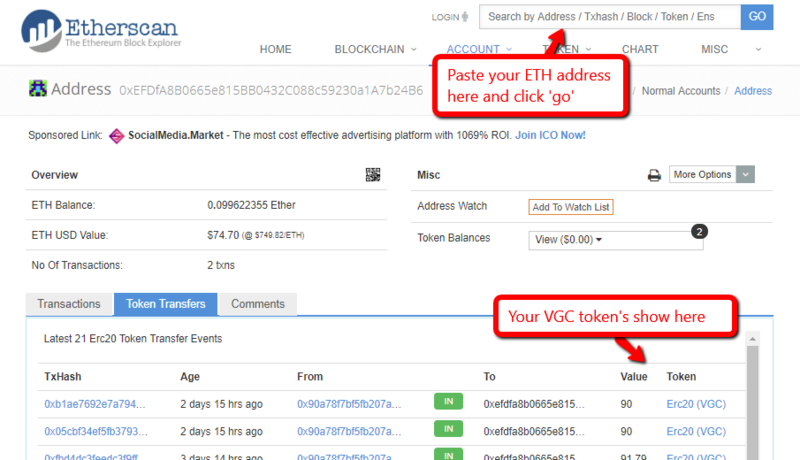 Your VooGlue tokens are in your ETH wallet. Or if its easier watch this video…. Or you can view your balance in your ETH wallet following your wallets instructions. The instructions for MetaMask wallet can be found here.